"He's totally fine." Yes! Time to finally meet Alvin and Lance. 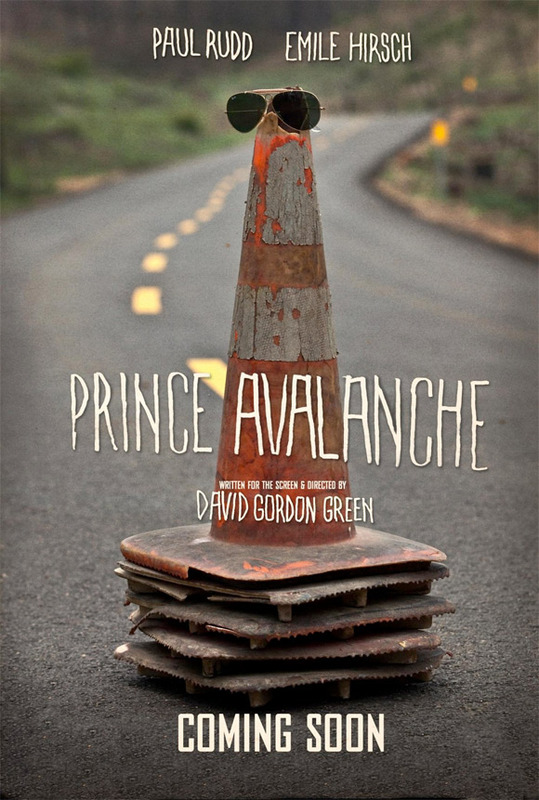 Magnolia Pictures has unveiled a new teaser trailer for one of David Gordon Green's upcoming indie features, Prince Avalanche, starring Paul Rudd and Emile Hirsch and pretty much no one else. This indie drama first premiered at Sundance in January and also played at SXSW and Tribeca, and is a much more low profile, thoughtful buddy film. This is a solid trailer that doesn't give away much besides show you a little of the isolated world these two workers are in. I've seen the film and it's worth a watch, but it is David Gordon Green getting back to his more indie roots. An odd couple of sorts, meditative and stern Alvin (Paul Rudd) and his girlfriend’s brother, Lance (Emile Hirsch), dopey and insecure, leave the city behind to spend the summer in solitude repainting traffic lines down the center of a country highway in Texas ravaged by wildfire. As they sink into their job in the remarkable landscape, they learn more than they want to about each other and their own limitations. An unlikely friendship develops through humor and nasty exchanges, leading to surprising affection. David Gordon Green (George Washington, All the Real Girls, Snow Angels, Pineapple Express, Your Highness, The Sitter, "Eastbound & Down") wrote & directed the film, based on Hafsteinn Gunnar Sigurðsson's story. After first premiering at the Sundance Film Festival, Magnolia Pictures will be releasing Prince Avalanche in limited theaters plus VOD starting August 9th later this summer. Recommended viewing when it's out. Love it. Hirsch as a borderline psycho and Rudd doing a threatening fist to palm punch? What is not to love? So Supertramp is a zombie now? I thought it was a new Mario Bros. movie from the static pic. This is a remake of the Icelandic film "Á annan veg"
Emile is a dead-on YOUNG Jack Black... or is it just me?! !